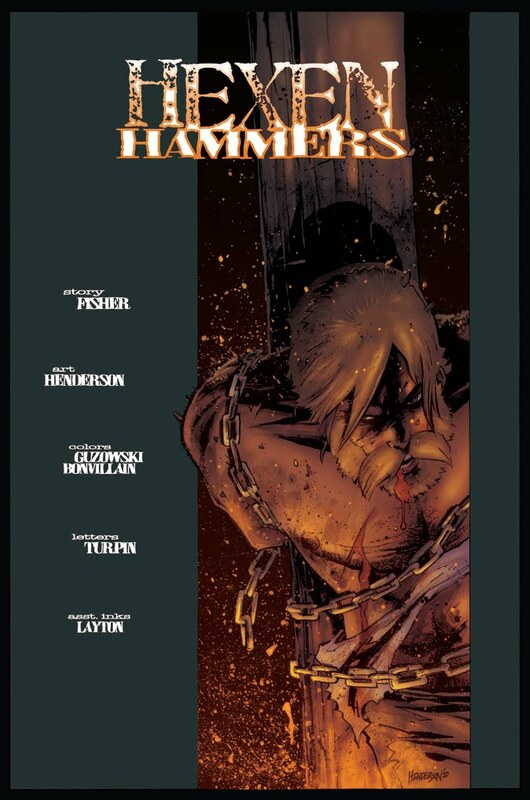 Adam Guzowski: Hexen Hammers TPB! So chronologically my 1st professional work as finally hit the presses! This is a book I worked on a few years ago with the endlessly talented team of Mike Henderson and Ben Fisher. The story focuses on a team of paranormal investigators/ monster hunters in 17th century America. I colored the 1st 50 page and some of the covers before leaving to work on Proof. If you feel inclined please pick it up: HERE.